Newfield Network is a vibrant, global community dedicated to pushing the boundaries of human knowing and learning. As a coaching certification graduate, here are some of the many ways available to you to foster new conversations, stay connected and continue your learning. Newfield Network has an alumni committee. This coaching certification committee is dedicated to listening to you and keeping the dialogue between our alumni and the Newfield team going. They provide a listening to what our alumni community is longing for, dreaming of, and envisioning. The committee is also enthusiastic about co-creating events with you. To contact the committee, email: alumni.committee@newfieldnetwork.com. We now have an alumni forum with three aspects to it (for now, who know what will unfold). Register for our upcoming free Learning in Action (LIA) calls. Our LIA video calls are free and they happen on the first Thursday of every month at 12pm EST/10am MST. These calls are designed and lead by our alumni. Archives. You can access recordings of our past LIA calls 24/7. News at Newfield - Updates about what’s happening at Newfield. Once we have gone through the Newfield coaching certification program, we are profoundly aware of the importance of community, connection, and learning in our lives. With this deep experience, many of us crave to actively and continuously be part of a community. We know the power of co-inspiring each other to evolve through presence and rich conversation. These Learning in Action (LIA) conversations are one way to nourish our collective unfolding. These monthly alumni dialogues are the perfect place where we can show up fully and engage in a sacred environment where we reflect collectively and co-generate a beautiful shared future. In these conversations, we draw upon our collective community wisdom and pave the road for co-designing a thriving alumni community. 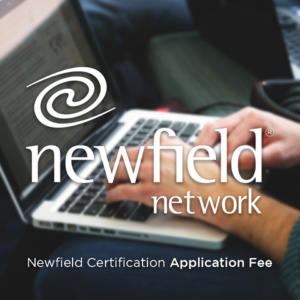 Still haven’t taken that last step and completed the Newfield Certification? Don’t let another day go by! Download the application now. Get your NCC credentials today. Longing to be back with your Newfield coaching certification friends, immersed once again in the deep learning and sharing that you experienced in your program? Now you can! Review the entire 8-month Coaching for Personal and Professional Mastery program. We believe the ontological learning distinctions always meet you where you’re at, bringing fresh new facets and nuances to your learning and life. For upcoming program dates, please visit The Foundation Course page and visit the Coaching for Personal and Professional Mastery program page. To register for coaching certification Re-Immersion, click the button below, or contact Linda Fischer directly at linda.fischer@newfieldnetwork.com or (303) 449-6117. To join our coaching certification alumni directory, please fill out the form and allow up to 5 weeks to be added. If you're already in our directory and need to update your info, go here. Please note that you are allowed 1 update per year. If you no longer wish to be part of the directory, you can opt-out here. If someone you know is looking for a coach, you can send them to Coach Connect, which has listings of over 100 Newfield graduate coaches. We have a podcast - Newfield Ignite. Each month, we will bring you thought leaders and luminaries dialoging at the living edge of discovery. Our podcast is also transcribed into Spanish! You can also access our podcast on iTunes and Stitcher. We have a blog - Newfield Discovery: A Journey of Embodied Living and Coaching. Our blog is about exploring coaching certification and transformation, sharing hope, igniting desire, and seeing what is possible. Now you can stay connected to your tribe in a new way, be inspired, find articles to share with your community, clients and friends, stay in the know about Newfield latest happenings, and more. Newfield Network Alumni is a Facebook Group that keeps you connected to your coaching certification community. It is a closed group, so please send in your request to join. We currently have over 250 members and would love to see many more join. Share questions, ideas, and thoughts with other Newfield graduates via our social media. Join us on Facebook, Twitter, and LinkedIn. You can also watch our videos on YouTube. This committee is dedicated to listening to you and keeping the dialogue between our alumni and the Newfield team going. They provide a listening to what our alumni community is longing for, dreaming of, and envisioning. The committee is also enthusiastic about co-creating events with you. To contact the committee, email: alumni.committee@newfieldnetwork.com. Adam Mutschler: Adam is a graduate of the 2016 Newfield Program. Previously he worked at Apple and a Startup in Chicago honing his training and mentoring skills. Since beginning his journey with Newfield, Adam joined The Kedar Group, a leadership transformation organization, where he is building his coaching and facilitation practice primarily with aspiring leaders in both the private and public sectors. In addition, he works with Integral Leadership & Coaching utilizing his business background to work with client and business development. Both organizations are founded and lead by Newfield Alumni. He’s very excited to be immersed in the coaching world and to serve Newfield’s growing network of graduates. Take a peek at our store and find all sorts of audios, ebooks, and other goodies. Stay in the know! Our weekly Newfield emails let you know of upcoming events and offerings, as well as free audios and videos. In our emails, we share resources from our coaching certification coaches and alumni that help us in generating a brighter future for humanity and the globe. If you're not receiving our emails, please let us know by emailing us at newsletter@newfieldnetwork.com.